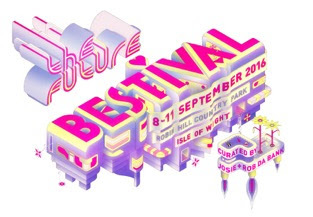 With only T-26 days until we blast off into the future for Bestival, getting to the wonderful Wight Isle is a hot topic. Fear not, STA Travel are on hand to offer you the incredible opportunity to win the journey of a lifetime for four people to the UK’s Best Major Festival to see Hot Chip, Major Lazer, The Cure, Sean Paul, Wiz Khalifa and many more. You and three friends could be in with a chance of flying to Bestival in a private aeroplane! Is there a more stylish way to travel? Boarding the Britten-Norman Ltd aircraft from your local airfield, you will fly over to the Isle of Wight landing in Bembridge Airport where a chauffeur will be waiting to whisk you to Robin Hill, home of Bestival. While onsite you will stay in the STA Travel Hostel experiencing the luxury of crawling into a real bed after a long night partying. Expect bacon sarnies for morning fuel and yoga sessions to stretch out your dancing feet. At the end of the weekend, you will be flown back home in time for dinner. How about an unforgettable road trip? Get to Bestival like a true bohemian, spreading the peace and love in a VW Campervan. One lucky winner will win one of these classic campers for the weekend with room for three friends. The van will be dropped off at your front door ready for you to load up with all your festival essentials. Car ferry, Bestival tickets plus a Campervan pass are all included. First class train travel from your nearest train station for you and three pals to the ferry port where you will board and float across the Solent over to the great Isle. You will then be collected and driven to the Bestival doors. Accommodation is also included in the STA Travel Hostel, no need to bring a tent! STA Travel is the world’s largest youth travel company and has been spreading love, peace and adventure since 1979. Employing over 2,000 passionate people in 11 amazing countries, we work with like-minded franchisees and licensed partners creating thrilling adventures and experiences in more than 50 countries. Our retail division will stretch your brain (and you) farther than you thought it could go and there are over 270 branches to visit with presence in almost every country from A – Z.
Australia, Austria, Germany, Switzerland, Japan,Singapore, South Africa, Thailand, United Kingdom and United States and New Zealand are just some of our retail spaces. We are privately owned by Diethelm Keller Group in Switzerland and that means we do things that are right for our customers – making sure that each and every experience chosen is beyond your wildest dreams. Once again this year we are adding on a £1 charity donation onto all Bestival tickets. The money raised will go directly to the Isle Of Wight Youth Trust (Reg Charity no. 1087163) to help fund their fantastic work offering counselling and support to young people aged 25 and under on the Isle of Wight. The Bestival Foundation is also a proud supporter of the Youth Trust.